Dhaka, Oct 18 (Just News): The European Union wants to see a free, fair, credible and all-inclusive election, says EU envoy to Bangladesh Rensje Teerink. She made the remarks on Thursday (Oct 18), after she led an EU delegation in a meeting with the Election Commission. 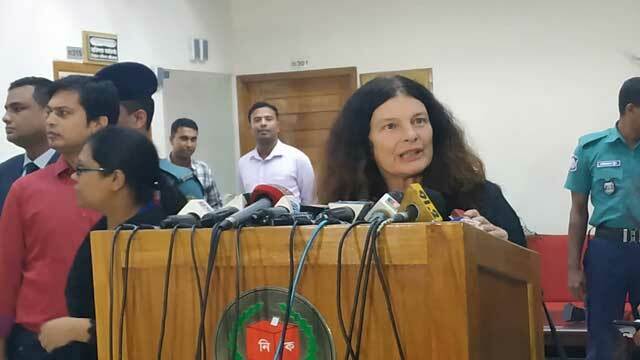 “Two EU representatives will be coming to Bangladesh at the end of November to observe the political situation,” she told the media. Teerink said that the EU is ready to provide diplomatic help for the election if needed.